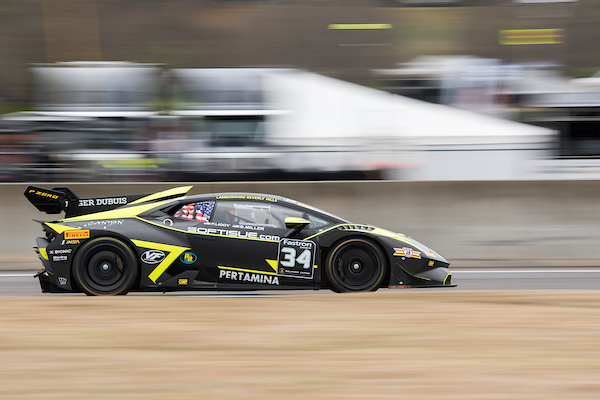 Birmingham, Alabama (Saturday, April 6, 2019) – ProAm drivers Jacob Eidson and Damon Ockey drove a strong race today to bring the No. 09 Lamborghini of Vancouver Huracan Evo home first in their class. Eidson started second overall and kept the car clean through an interesting first lap of the season opener. Eidson and USRT’s Pro driver Patrick Liddy worked e xtremely well together, swapping positions a couple of times early on. Eidson moved back into second-place after the No. 29 served a drive-through penalty and made a pass for the lead on lap 15. Eidson was in the overall lead when he handed the car off to Ockey late in the pitstop window. 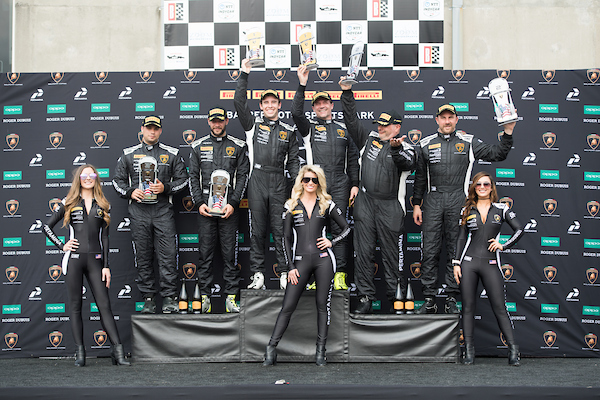 With the tires wearing down, Ockey was unable to hold off a group of Pro drivers, but continued to race hard crossing the finish-line fourth overall and first in class. Pro drivers Patrick Liddy and Bryce Miller where poised to finish just behind Ockey, but lost a spot due to contact on the last corner of the last lap. Liddy drove a great first stint and was running second in class when he handed the car off to Miller. Unfortunately, Miller lost a couple of positions in the extremely competitive Pro class as he was getting up to speed coming out of the pits. Even with the contact, Miller was able to bring the No. 34 Lamborghini of Beverly Hills car home in sixth-place overall. 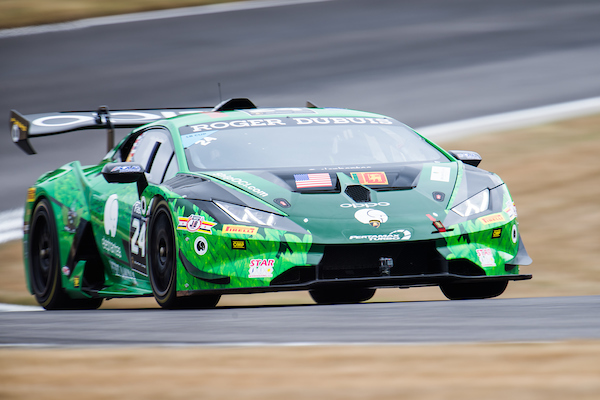 Ron Atapattu returned to Lamborghini racing today in the No. 24 Elephantea Lamborghini of La Jolla. The veteran driver looked poised for a strong finish in LB Cup, but lost the opportunity for a podium finish with a drive-through penalty in the second-half of the race. Atapattu is confident that he’ll better his result in tomorrow’s race. Team owner Shane Seneviratne was pleased with how well all of the USRT drivers did today. He was happy with the overall results despite a couple of setbacks and is looking forward to tomorrow’s action. Race 2 from Barber Motorsports Park goes green tomorrow, Sunday, April 7, 2019 at 12:55 p.m. CDT.